This blog is over what I have done to my car over the time of my ownership, as well as what is planned for the future too. Enjoy! The very first thing done to my car was a Hurst short throw shifter and tune. Within a month I added a lot more. I added new chrome parts from AM. I ordered all weather mats for my floor and trunk as well. Within the next few months and into 2012 I added more. Chrome e-brake, Chrome fuel door, GT stitched head rest covers. 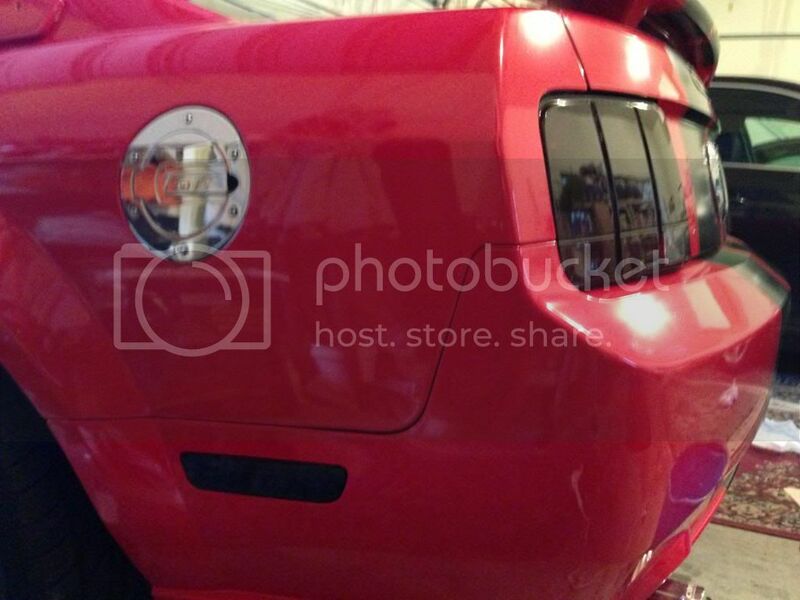 Early 2012 I also ordered welt trim for the doors. This finished the rest of my interior upgrades. 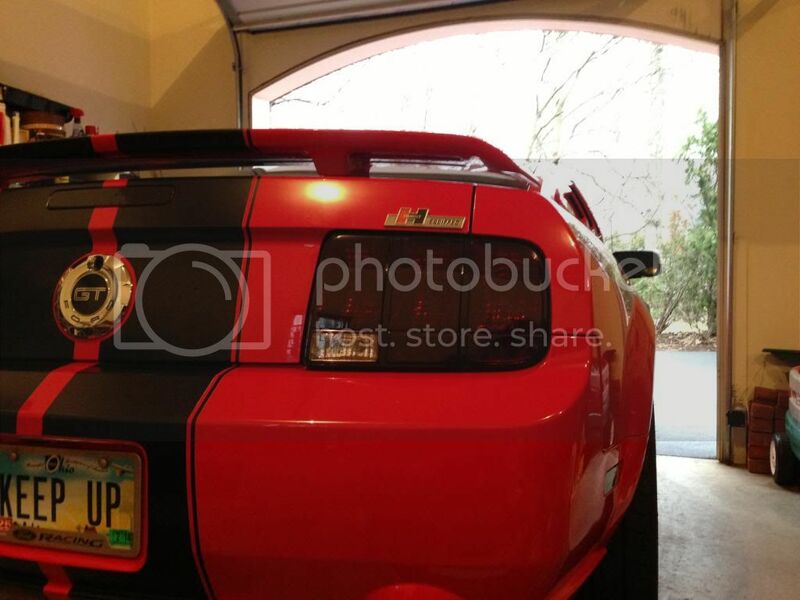 Shortly following the interior mods in January of 2012 I changed my exhaust system. I went from the Flowmasters that were on the car when I first got it to a brand new set of Corsa axlebacks and Corsa high flow x-pipe with cats. This is about the time in which the mod bug hit hard. Within the same month I had finished my interior, I had replaced most of my exhaust system and THEN ordered new cams and engine bay dress-up. This included a new Optima red-top which was also to help the fact my car was having start-up problems. I replaced my stock cams with a set of Ford Racing Hot Rod Cams. They were put in at the same time the exhaust system was done. I also had Kenne Bell boost fuel pump added to help with fuel peaks due to having to let off on dyno runs. A few months later in April/May, I replaced my stock gears with Ford Racing 3.73 gears. 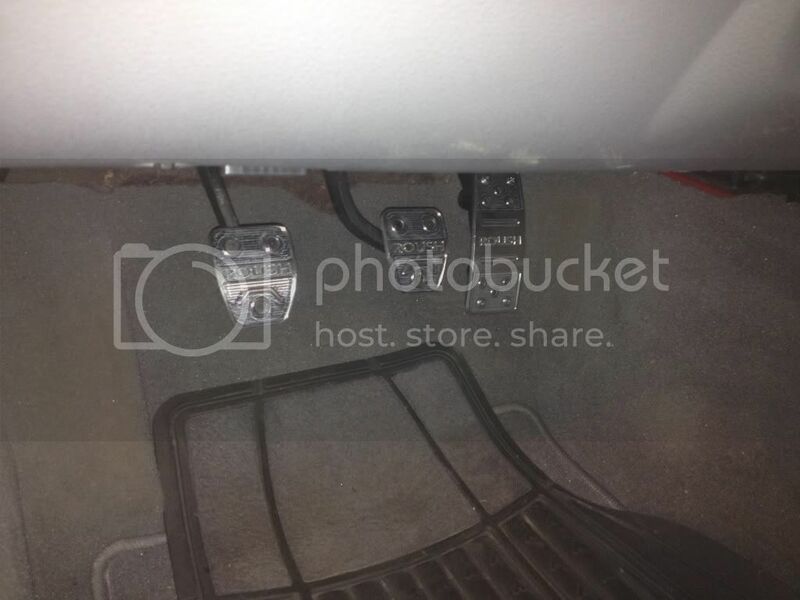 The same order contained brand new Roush chrome pedals as well. I also had my front chin spoiler painted black. June 2012 I replaced my badges and added a new one. I went from my initial red badges that were fading to new black ones for my fenders. I also added "Hurst Equipped" badge on the trunk. After a while longer, in March 2013, the bug hit once more. I added Raxiom tinted tails, as well as smoked film on my 3rd brake and side markers. Fast forward to today and it's in the shop once again. Sparkplugs replaced, a brand new 93 tune, and now waiting to measure out new pads, rotors, lines, and calipers. Since I bought the car the build list has drastically increased. Roush M90 Supercharger, Roush cold air intake, Nitto NT555 high performance summer radials, 18" Roush chrome rims, 1/4 louvers, hood scoop, side scoops, painted matte black stripes, CDC chin spoiler, spoiler, HID GT500 headlights, sequential tail lights, 4” trunk speakers. Roush M90 Supercharger, Roush cold air intake w/ steeda filter, Ford Racing hot rod camshafts, Corsa Xtreme exhausts, Corsa Xpipe, White cue ball Hurst short throw shifter, BF Goodrich G-Force KDW II high performance summer radials, 18" Roush chrome rims, 14" shorty antenna, GT engraved chrome A/C vents, chrome cupholders, chrome door sill trim, chrome e-brake, chrome turn signal accents, chrome fuel door, chrome Roush pedals, GT stitched headrests, 1/4 louvers, hood scoop, side scoops, CDC classic chin spoiler, spoiler, HID GT500 headlights, sequential tail lights, 4” trunk speakers, Ford Racing 3.73 gears, 93 custom tune, Kenne Bell boost fuel pump, Brembo slotted rotors, StopTech stainless lines, Hawk ceramic pads, red painted calipers, AeroForce interceptor a/f and oil pressure gauge, radiator extension covers, hood struts, optima red top battery, floor mats, trunk mat, smoked 3rd brake lights, smoked side markers, and smoked Raxiom tail lights. My car has also won a couple awards. 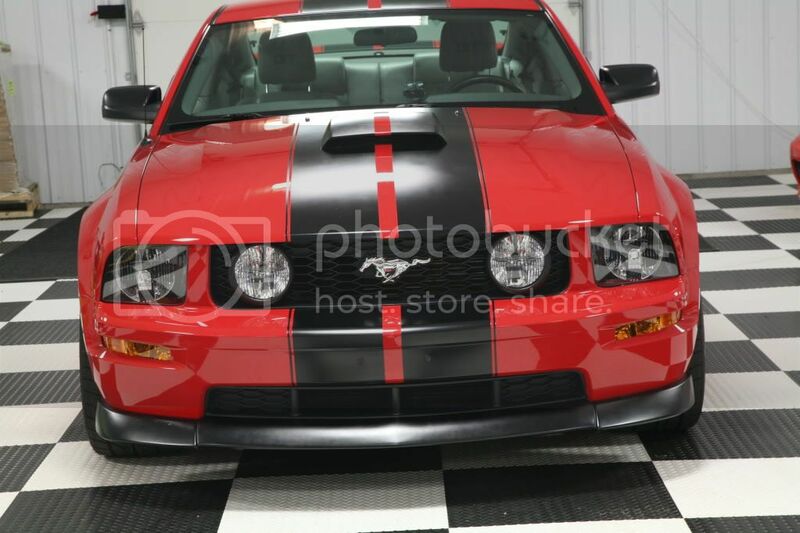 In its first show, my Mustang was awarded the "People's Choice" award in late 2011 and won "Best Domestic" in early 2012. I've had one fitness model take pictures with it as well. Even though I've done a ton to this car, deep down I know it isn't the end. What I don't know is when or if it will ever be done. No matter what though, the journey will be one that I'll love every step of the way. Posted March 26th, 2013 at 02:01 PM by Mach Stang! Posted June 8th, 2013 at 03:48 PM by TheUNZippee!